The comic world’s most famous redhead is getting a makeover. Earlier this week, The Wrap reported that actress Zendaya will play Mary Jane Watson, the second most famous comic love interest (trailing only Superman love interest Lois Lane) in the newest Spider-Man reboot Spider-Man: Homecoming. 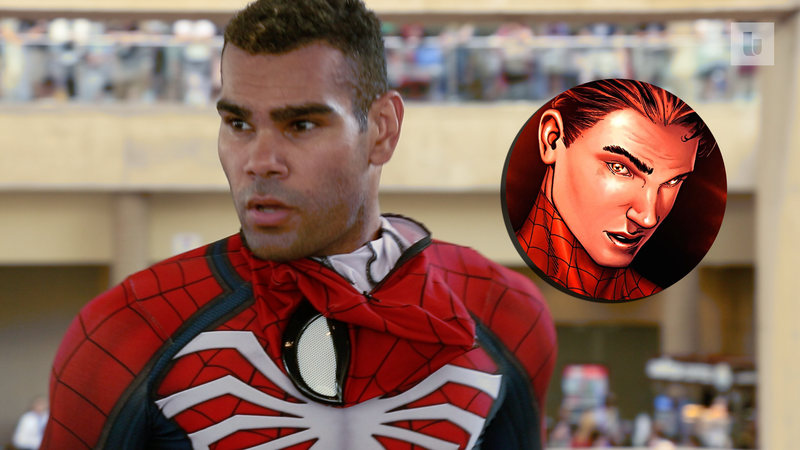 Predictably, controversy ensued over whether or not Mary Jane should be portrayed by a black woman. But as it turns out, Zendaya is pioneering the big-screen version of what thousands of fans have done for decades — remix their fandoms with their blackness. 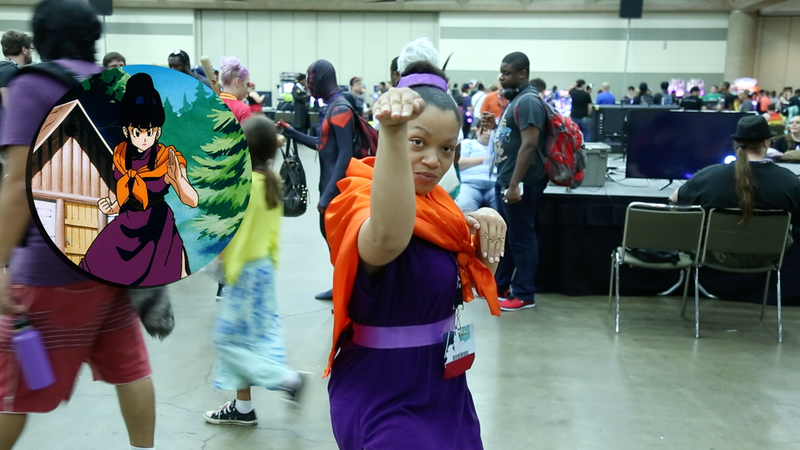 On the forefront of this movement are black cosplayers — fans known as black nerds, or “blerds,” who are dedicated enough to spend their time and money to embody their favorite characters. Friends Sarah Fong, Maki Roll and Byndo Gehk cosplay as Bulbasaur, Charmander and Squirtle from Pokémon. Tyler Hoover cosplays as Peter Parker from Spider-Man. 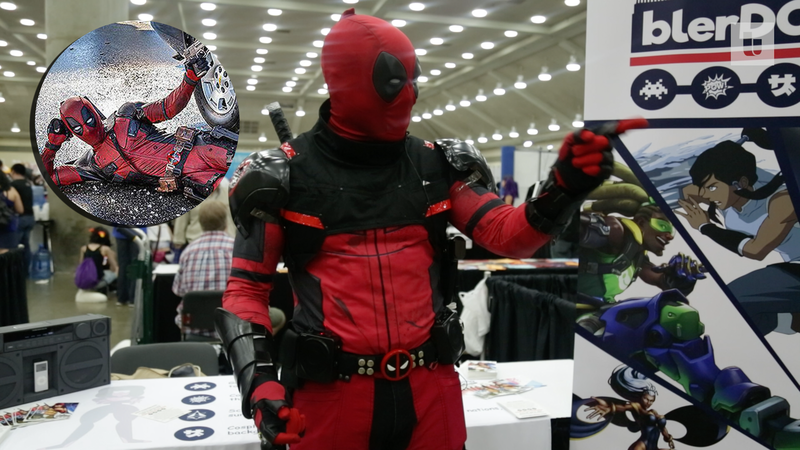 Hilton George cosplays as Marvel’s Deadpool. Chauna Lawson, aka CC the Greek Geek, cosplays as Princess Mononoke from the Studio Ghibli films. 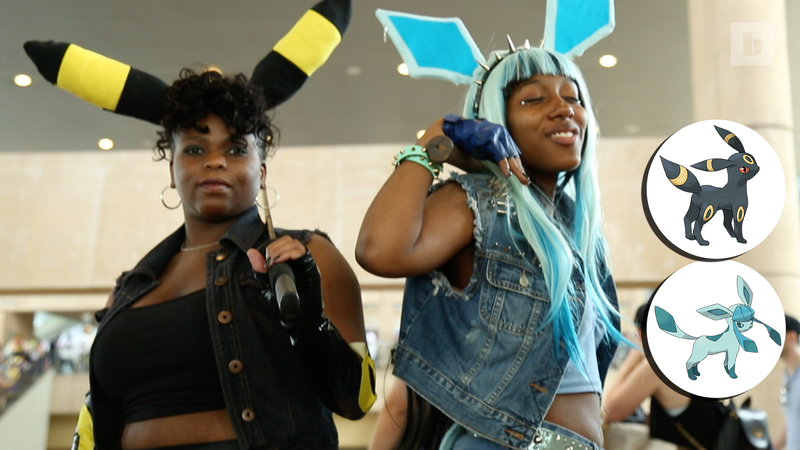 Cosplayers remix themselves as Umbreon and Glaceon from Pokémon. 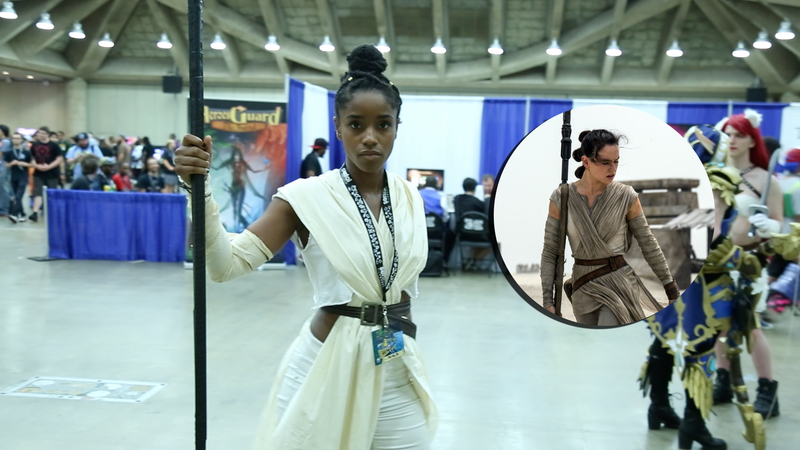 A cosplayer dresses as Rey from Star Wars: The Force Awakens. 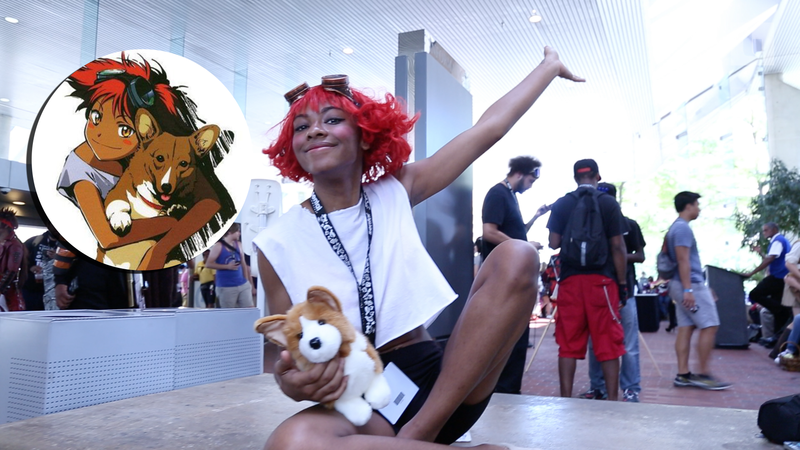 A cosplayer dresses up as Ed from the Cowboy Bebop anime series. 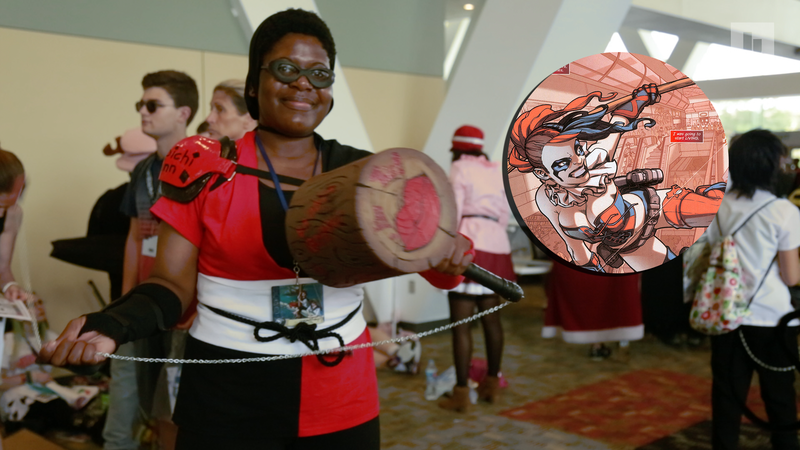 A cosplayer dresses up a “Kunoichi Harley Quinn” from Batman. 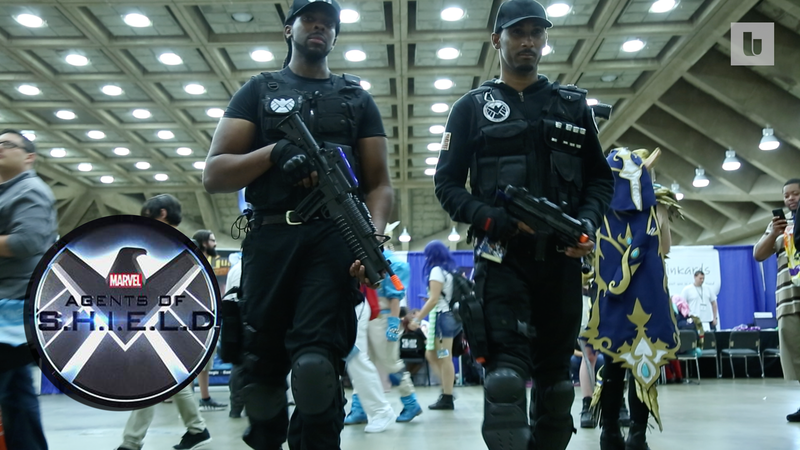 Cosplayers dress up as soldiers from Marvel’s Agents of S.H.I.E.L.D. 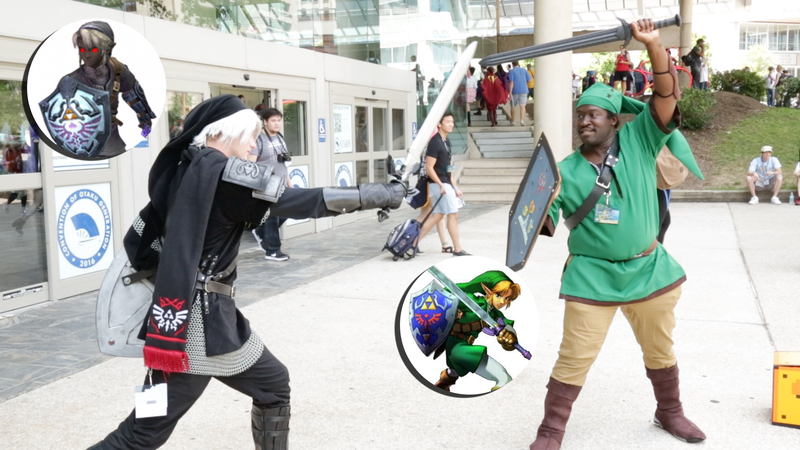 Cosplayers fight as Dark Link and Link from The Legend of Zelda video game. Chi-Chi from Dragonball Z poses, ready to fight. 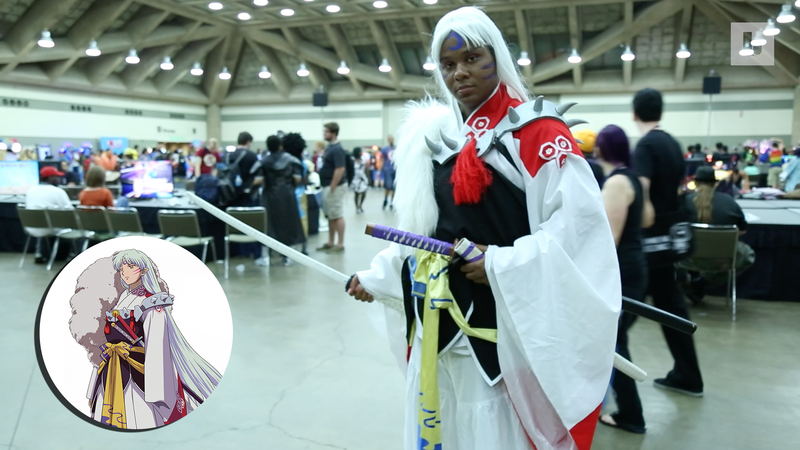 A cosplayer poses as Sesshōmaru from the InuYasha anime series. 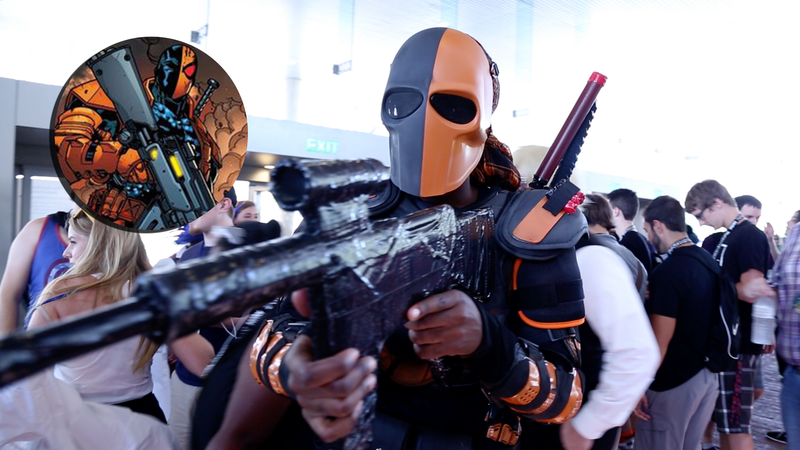 A Deathstroke cosplayer poses in a fighting stance. 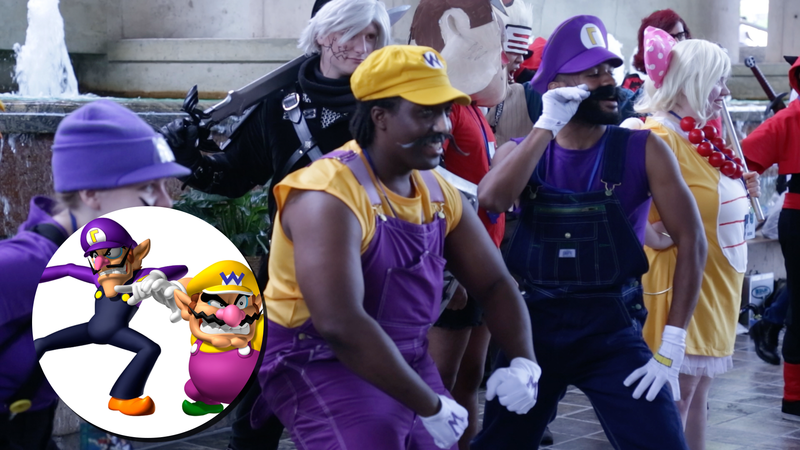 Cosplayers dressed as Wario and Waluigi pose in photo shoot at Baltimore Otakon 2016.